Here’s the challenge: depending on the size of your facility and the nature of your industry, it can be hard to keep track of all the fire extinguisher locations and maintenance history. The solution? 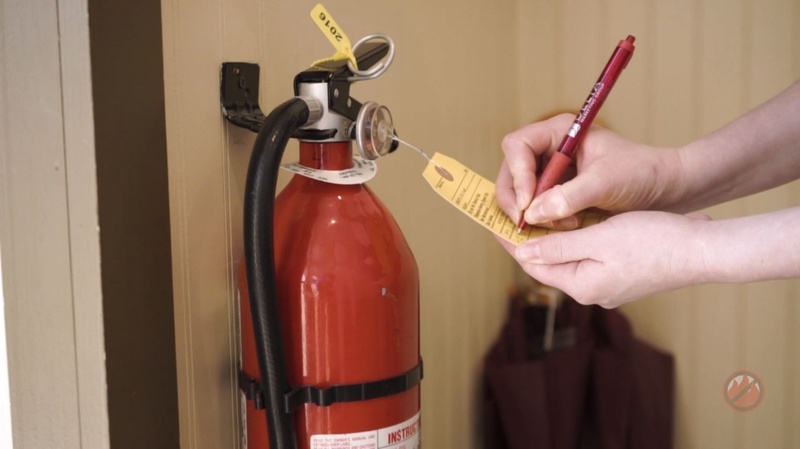 Create a fire extinguisher inventory for your business. 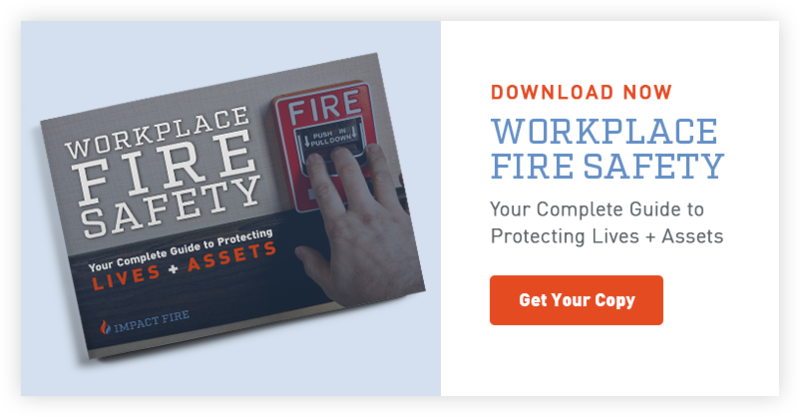 We’ll guide you through the process of setting up and maintaining your fire extinguisher tracking, and we’ve also included a free downloadable template you can use for your own business. Important Note: Maintaining your own fire extinguisher tracking may be right for your business. However, many businesses gain valuable peace of mind--and reduced liability--from working with a certified fire protection company to perform their fire extinguisher tracking and inventory. That way, your team can keep doing their jobs, and your business gains improved quality control and compliance. If you do decide that you would like to create your own fire extinguisher inventory, keep in mind that your extinguishers still need to be inspected by a professional annually. They also need an internal inspection and a hydrostatic test every six/twelve years. Often, companies simply find it easier to let their fire protection company handle compliance tracking. Use this free downloadable template to keep a list of your workplace’s fire extinguishers and ensure that all of the proper inspection and testing schedules are being followed. Location: Start by performing a walkthrough of your facility and noting the locations of each portable fire extinguisher. Be specific. Examples: entrance foyer; floor 2 kitchen; floor 1 east side hallway. 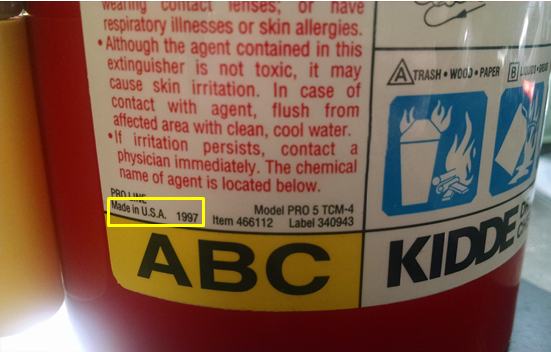 Brand: Common brands for workplace portable fire extinguishers include Ansul and Kidde. Size: The size will be denoted in pounds. For example, 5 lb. or 10 lb. Type: Note the classification of each fire extinguisher. 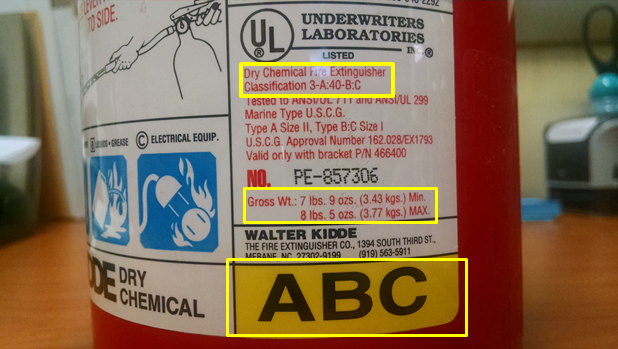 For most workplaces (other than kitchens or industrial settings), the most common type of fire extinguisher is ABC. 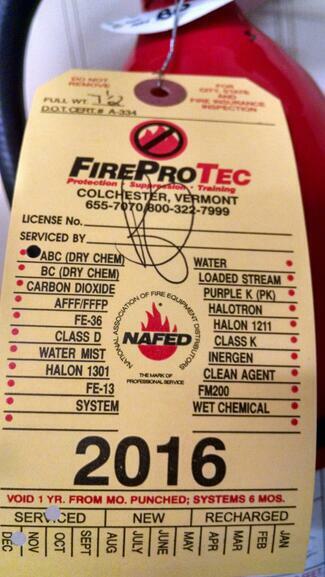 In this image we can see the classification, type and weight for this Kidde fire extinguisher. Note that, although the minimum and maximum Gross Weight are shown, this is considered a 5 lb. extinguisher. Manufactured Date: This is the year that the unit was originally manufactured. 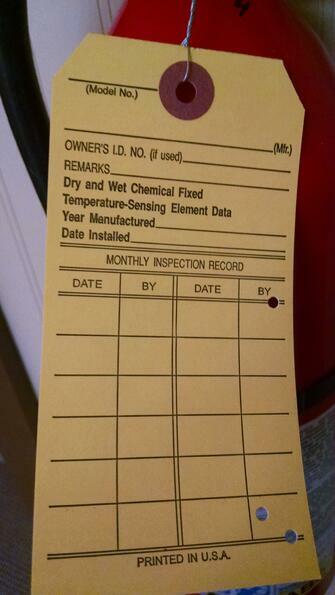 Inspection Tag Expiration: Check the yearly inspection tag provided by your fire safety professional.The inspection tag expires one year from the provided date. Last 6-Year and Last 12-Year:This refers to the last 6-year and 12-year maintenance that was completed by a professional. In the example from one of our customers below, we provide stickers directly on each unit specifying when the last tests were performed, so this information is easy to locate. 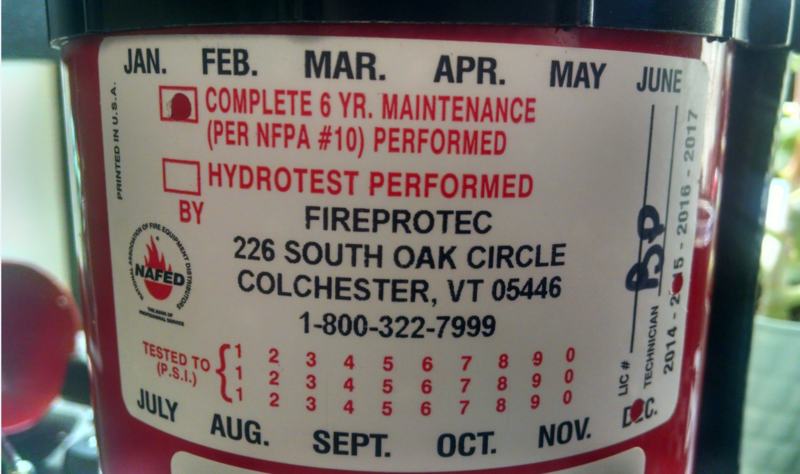 Last Monthly Inspection: Each month, update this column with the date you performed a monthly fire extinguisher inspection. Not sure how to do this? Watch our video that takes you through the process of how to perform a monthly fire extinguisher inspection. Tracking and keeping an inventory of your workplace’s fire extinguishers is extremely important for compliance and for the safety of your employees and customers. This is a task that cannot be overlooked! If you have a large facility or a campus with multiple buildings, it’s much simpler (and carries less liability) to leave compliance tracking to the professionals. Want to get started today? Contact FireProTec to discover how we can help.